Curtain cleaning is a delicate and highly technical task which is best left to properly equipped, well trained professional cleaning technicians. 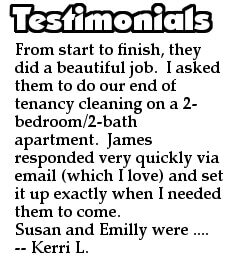 And this happens to be just the type of cleaning we provide. If you are looking for no fuss, efficient and affordable curtain cleaning – then we have you covered. Our expert cleaning technicians will come and visit you in the comfort of your own home, equipped with the most efficient, professional grade equipment, ready to tackle even the trickiest of jobs. Our customers can be sure their delicate and sensitive curtain fabrics will be taken care of and looked after properly. Correct and safe curtain cleaning requires special equipment and expert touch for quality and lasting results so we have made it our business to provide just that, with no fuss or extra hassle. 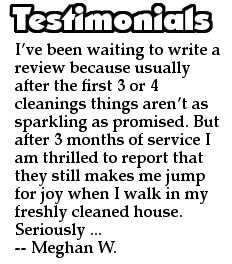 Our cleaning systems are sparing and efficient. They are designed to be used for heavy duty curtain cleaning or delicate cleaning of sensitive curtain fabrics. 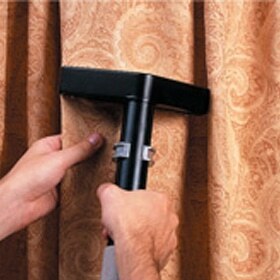 The delicate cleaning systems allow for no mechanical damage to the curtain and no discolouration of edges and folds. We guarantee to use the right materials and equipment in order to deliver you clean curtains with no shrinkage. Shrinkage is a serious problem especially when this is the first professional cleaning for the curtains, but thanks to our specially trained technicians and top grade equipment we deliver no shrink cleaning service. Our technicians can also attempt to deal with creases sustained by prior, incorrect cleaning attempts. Expert fabric knowledge and sound technical expertise will make all the difference. We can professionally clean all types of curtains and fabrics. 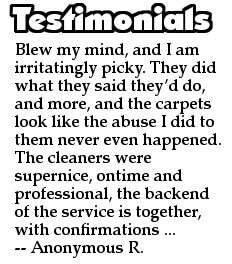 Please be aware though that curtains which have sustained extensive damage may not be suitable for professional cleaning. Every cleaning system we use during the appointment is steam based and non-toxic to humans and pets as customer safety and wellbeing is paramount to us and our cleaning crews. The professional curtain cleaning service runs seven days a week with flexible appointment hours and no extra charges for weekends.